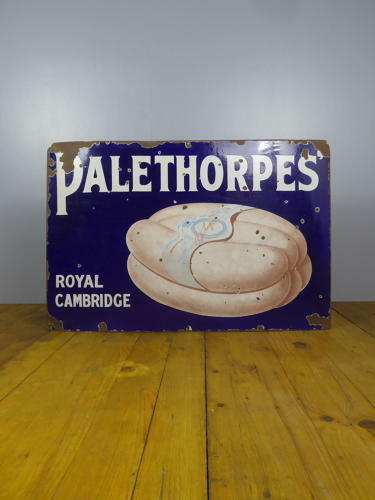 A wonderful antique pictorial enamel advertising sign for Palethorpes Sausages. A rare surviving example of this detailed enamel advertising sign in some great colours & with a fantastic sausages pictorial. Great typography, superb detail to the label on the sausages & a beautiful, even amount of wear make this a super display piece for the kitchen, cafe or restaurant.